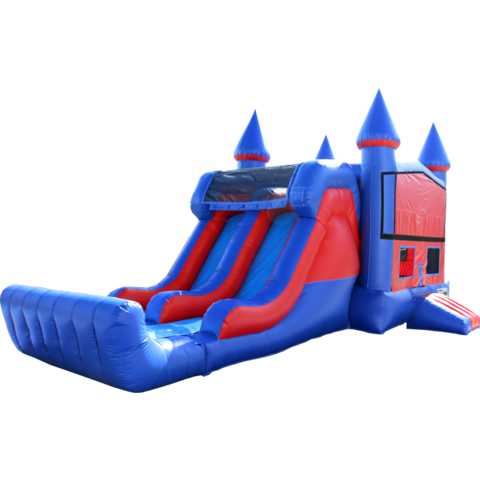 Treat your guests like royalty during your upcoming party or event in Lafayette with the magnificent Castle Dual Lane Water Slide Combo! 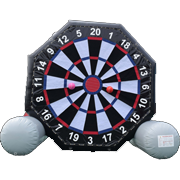 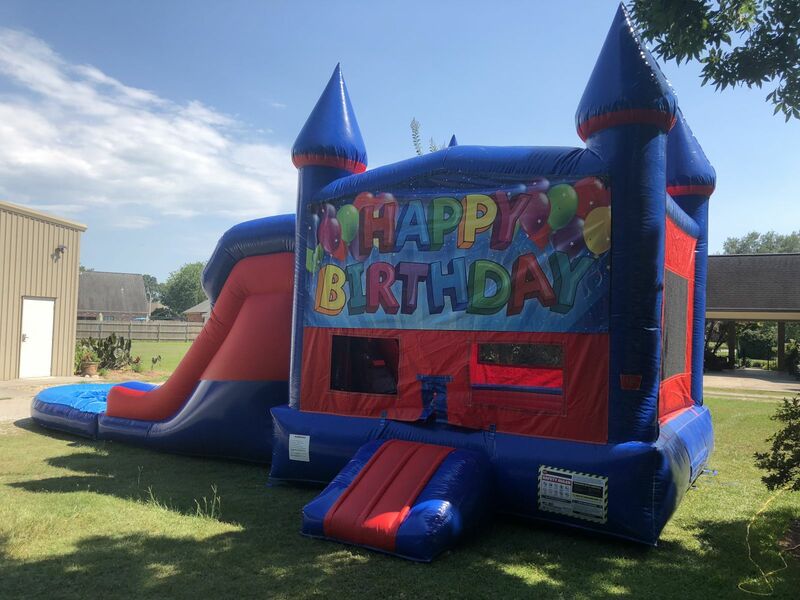 This regal inflatable stands over 14ft tall and is decorated in proud, vivid shades of red and blue! 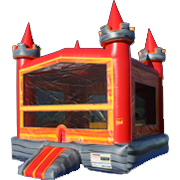 True to its name, this inflatable rocks four large spires, framing the bounce house portion and adding to the royal vibes! 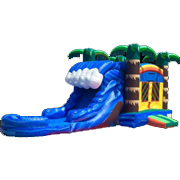 You can further customize this inflatable with any of our decorative banners to further match the theme or occasion! 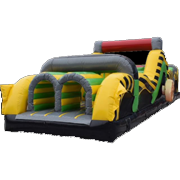 Made up of two separate inflatable attractions, the Castle Dual Lane Water Slide Combo gives guests multiple ways to play! 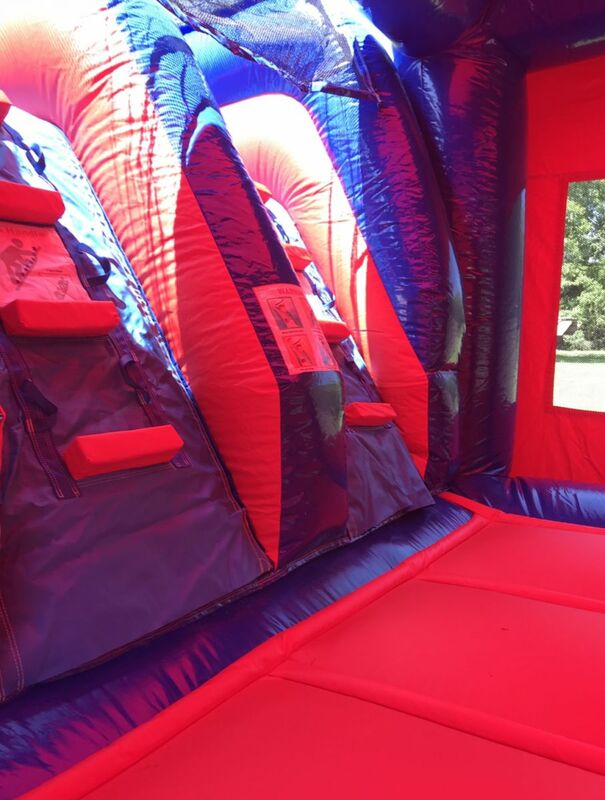 Choose from a spacious bounce house to hop around in, or make your way to the slide and drop on down to the inflatable pool that awaits at the base of the castle! 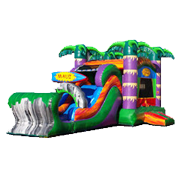 The water slide and pool portions in particular are excellent for hot outdoor events, though the slide can also be used dry as well. 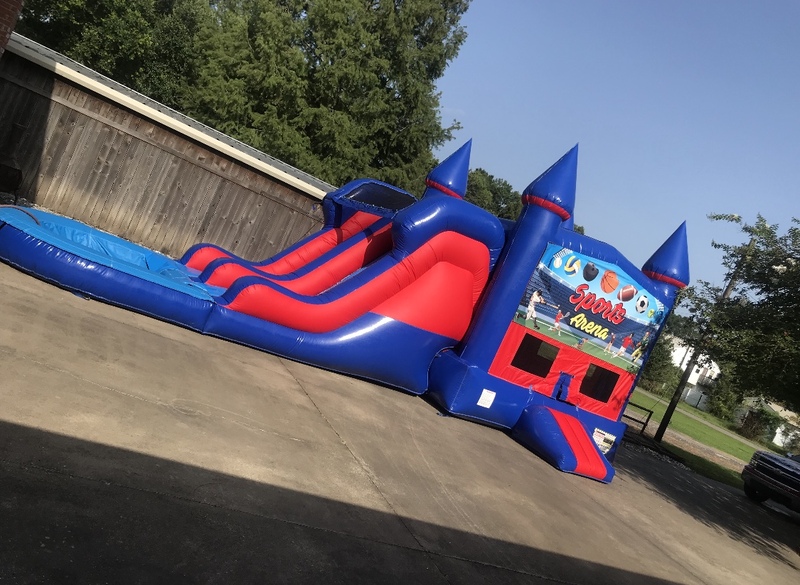 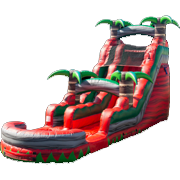 Don’t delay and reserve the Castle Dual Lane Water Slide Combo for your upcoming celebration in Acadia Parish!